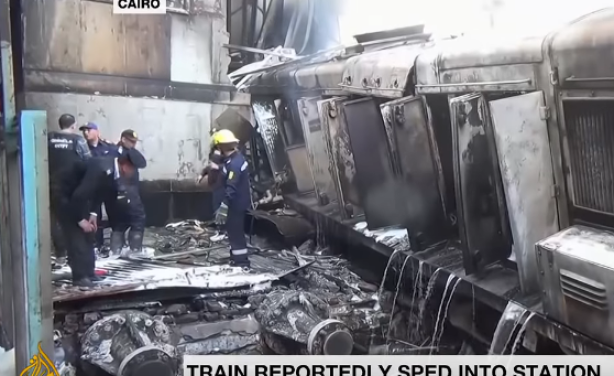 A speeding train crashed into a barrier at Cairo's main train station on Wednesday, causing its fuel tank to explode and triggering a huge fire, officials told Associated Press. At least 25 people died and at least 47 people were injured in the accident. At least 28 people were killed and 50 injured after a train smashed into a barrier at Cairo's main train station.